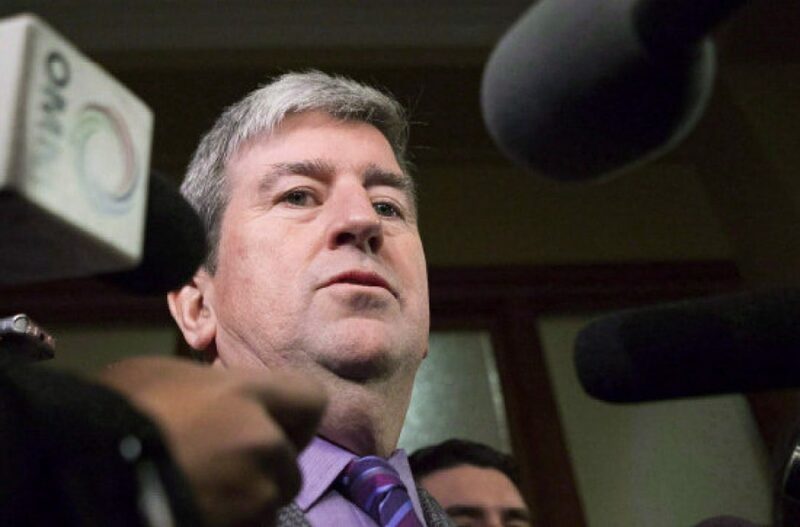 The Canadian government’s billion-dollar aid package for workers affected by the US softwood duties—due for release today—could “rile up US trade officials“, according to Jon Johnson at the C.D. Howe Institute. “If they are not paying a market price for it, help in this form can be argued to be a subsidy.” Meanwhile, “Montana’s timber workers were at the capitol yesterday” meeting with Governor Bullock on the softwood issue. Some positive economic news on mill reboots. “After seven years being shuttered, a sawmill has reopened in Glenwood, Arkansas” and Tolko Industries “could re-open its High Prairie OSB plant within months“. Greenpeace is raising the stakes in its ongoing battle with Resolute, with market campaigns targeting global publishers, that “source paper from a company that is fundamentally threatening the right to free speech”. The media hook is “a pledge by more than 100 authors“—including Margaret Atwood and John Maxwell—”for free speech and forest protection“. The Toronto Star Editorial Board has come out in support of Domtar on the “clean-up of mercury at Grassy Narrows”. “Given what the government already knows”, the delay in seeking to transfer its responsibilities “to an innocent bystander is inexcusable and it’s got to stop”. 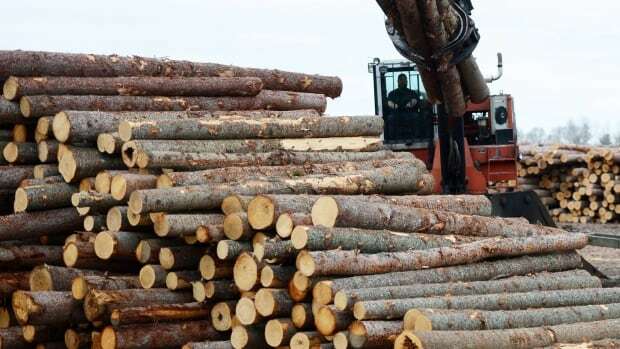 Ottawa may be pouring gasoline on Canada’s increasingly heated softwood lumber spat with the U.S. by extending a lifeline to the industry worth nearly a billion dollars, according to one analyst. CTV News has learned the federal government will announce $867 dollars in aid, including $605 million in loan guarantees, $160 million in market transition help, and $9.5 million in EI support for workers. Jon Johnson, a senior fellow with the C.D. Howe Institute, said the new aid package could rile up U.S. trade officials if Ottawa is seen to be tipping the scales further in favour of Canadian producers. He previously advised Canada’s Office of the Trilateral Trade Negotiations during the NAFTA negotiations. Tolko Industries could re-open its High Prairie OSB plant within months. 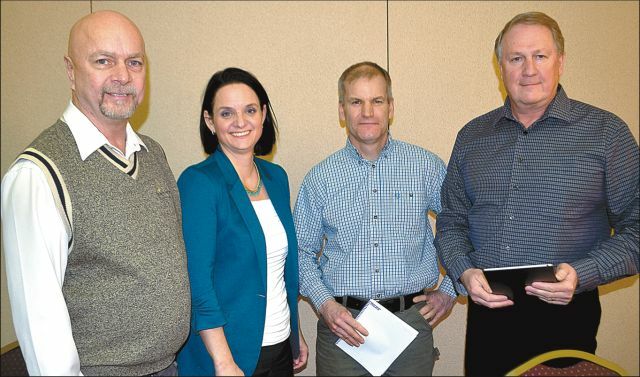 That was one optimistic prediction by plant manager Doug Stangier and Dave West, manager of stewardship and tenures for Alberta and Saskatchewan, when they updated Big Lakes County council at its regular meeting May 24. “If all the chips fall into place, we could probably start a log haul in September and produce our first board by the end of the year,” West says. “We are excited about the start-up and we want to keep it going.” …Over the past several months, Tolko has hired key management positions, including a human resources co-ordinator, safety manager, and technical manager. Despite promising to get on with the clean-up of contaminated water that the Grassy Narrows and Whitedog reserves depend on, the Ontario government is once again delaying. It’s got to stop. The Wynne government appears to have found yet another way to delay cleaning up the mercury-polluted waters that have poisoned generations of people living on the Grassy Narrows and Whitedog reserves in northern Ontario. Now, instead of focusing on an important task the government repeatedly promised to take on, Environment Minister Glen Murray is engaging in a legal dust-up with the new owners of the pulp and paper mill where the mercury pollution first originated back in 1962. …Understandably, Domtar says it is concerned the province is seeking to transfer its responsibilities to an “innocent bystander” and vows to fight the order. …That is inexcusable in light of what the government already knows. More than 100 authors from around the world including Nobel Prize winner John Maxwell Coetzee (Disgrace); Booker prize winners Margaret Atwood (The Handmaid’s Tale), and Yann Martel (The Life of Pi); writer and comedian Stephen Fry (More Fool Me); and thought leaders Naomi Klein (The Shock Doctrine) and Rebecca Solnit (Men Explain Things to Me) signed a pledge with Greenpeace to support free speech and stand up for forests. …”Ultimately we all benefit from free speech. If Resolute Forest Products manages to shut Greenpeace up with its heavy-handed legal tactics, we ALL lose. This is not just a question of preserving our environment but our civil society,” said author Yann Martel. …”It is a dilemma for global publishers to source paper from a company that is fundamentally threatening the right to free speech. Without this fundamental right, think of how many books, how many ideas, would have been suppressed,” said Head of Forest Campaign for Greenpeace Canada, Shane Moffatt. Can you judge a book by the paper it’s printed on? According to Greenpeace’s latest report, Clearcutting Free Speech, that page-turner you’re reading may not only be clear-cutting forests, but also shutting down free speech. Welcome to the latest chapter in the battle over the boreal between Resolute Forest Products, Canada’s largest logging company, and Greenpeace. The two have been at odds since negotiations around the Canadian Boreal Forest Agreement went south and the eco org started labelling the company a “forest destroyer.” That was back in 2012. …Greenpeace isn’t the only environmental organization questioning Resolute’s forestry practices. …Lauren Regan, executive director of the Oregon-based Civil Liberties Defense Center, says it’s highly doubtful Resolute’s fraud and racketeering charges have a chance of sticking. She argues that California should be a much more favourable venue for the environmental org. Lumber industry workers in Montana gathered in the capitol this afternoon to update the governor on the health of their businesses amidst a trade dispute between the U.S. and Canada. Montana lumber workers received a positive jolt last month when the Trump administration placed a first round of tariffs on softwood lumber coming across the border. “It’ll help our market on the U.S. side of things,” says Chuck Roady, Vice President of F.H. Stoltze Land and Lumber in Columbia Falls. He says the tariffs on Canadian wood products will increase pressure to renegotiate a trade deal between the countries that expired in 2015. 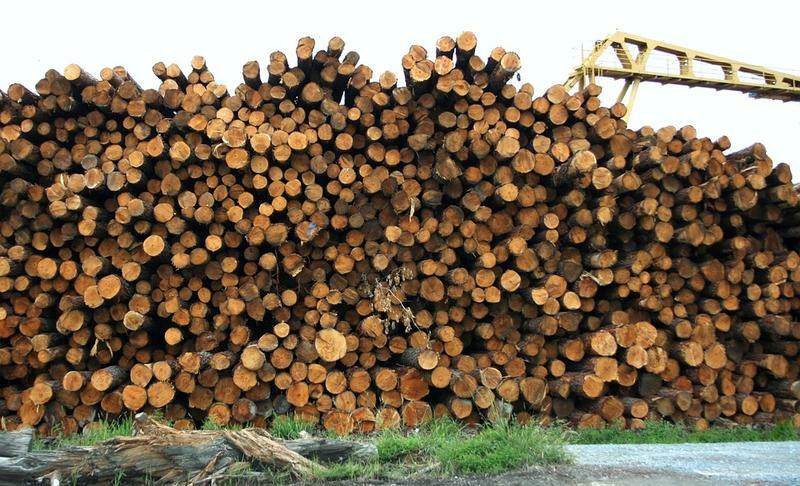 Roady says a new trade deal is preferable than “living with the animosity of a tariff.” He says U.S. lumber manufactures would like a new deal establishing a quota limiting how much Canadian softwood products could come into U.S. markets. EXPO 2017 Floor Plan: SOLD OUT! The floor plan for Expo 2017 is now sold out. Two weeks from today, SFPA’s 34th Forest Products Machinery & Equipment Exposition will open at the Georgia World Congress Center in Atlanta. For three days, June 14-16, 184 exhibitors will showcase the latest technology and services for the wood products industry, displayed across more than 54,000 square feet. More than 50 exhibitors are SFPA Associate members. The expansion of industry participation at Expo 2017 is reflected by the list of 33 first-time exhibitors. Visit the show’s website to review the full list of exhibitors and the floor plan. …Expo 2017 will be the largest event in many years. GLENWOOD — A sawmill has reopened in Glenwood nearly seven years after being shuttered, providing an economic boost to a town of 2,500 hard on the banks of the Caddo River and nestled in a valley of the Ouachita Mountains. …The owners and employees of Caddo River Forest Products are scheduled to meet Gov. Asa Hutchinson and various town, county and economic development leaders and elected officials in a ceremony at the plant today. The potential cutting of a state-level property tax would change the way Wisconsin pays to maintain forests. Gov. Scott Walker’s 2017-19 budget proposal would eliminate the forestry mill tax. Whereas other property taxes in Wisconsin are levied by counties, cities, technical colleges, school districts and other units of local government, this tax is statewide, authorized in a 1924 amendment to the state constitution. …Walker’s proposal would get rid of that tax levy and instead fund forestry programs by drawing on the state’s general funds. His budget currently provides for general-fund transfers to replace these tax revenues through 2019, which, the administration contends, would approximate what the state would raise assuming property values keep steadily increasing. In the LFB’s analysis, this projection adds up. The question, then, is what happens to Wisconsin’s forestry funding starting in 2020. A mediator has been appointed to avoid a bitter legal dispute over alleged unfair contracts in the regional timber industry. Timber processor Hurford’s Hardwood employs more than 260 staff, including 100 on the north coast of New South Wales. Hurford director Andrew Hurford said contracts between its competitor, Boral, and the NSW Government-owned Forestry Corporation gave Boral an unfair advantage over other timber processors. Boral’s contract secures its supply of rare Australian hardwood to 2027, five years longer than other mills, and guarantees specific quantities of high-value varieties including blackbutt and spotted gum….”The Government has given a more favourable agreement to Boral timber, and what that means is that they have contractually committed to supply certain volumes of all the high-value species to Boral, where they haven’t made the same commitment to the rest of the industry,” Mr Hurford said. Did you know that the body of your guitar be made with wood cut at a small Terrace mill? JCI Touchwood Sawmills, located 10 kilometres north of Terrace on Hwy 113, evolved from a recent merger of several mills and is now branching into a new market. 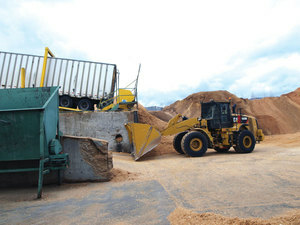 Finding a unique niche in the industry, the two-building sawmill has started cutting specialty timber used in pianos, guitars, wooden airplanes and ship masts. …Sitka spruce grows all over the world, but the highest quality is here on the west coast between Bella Coola and the Alexander Archipelago on the south east end of Alaska. The rich soil conditions foster growth at the perfect pace to get the prime grain of wood. Logging companies harvest the spruce with a blend of other trees, and JCI Touchwood buys it off their logging trucks. WASHINGTON–WoodWorks, an educational initiative that provides free technical support and resources related to the design and construction of non-residential and multi-family wood buildings, is now accepting nominations for the 2018 U.S. Wood Design Awards. The awards recognize excellence in wood design, engineering, and construction, as well as innovative projects that showcase attributes of wood such as strength, beauty, versatility, cost effectiveness, and sustainability. The deadline for nominations is September 29, 2017. …“Wood Design Awards are a way to celebrate ingenuity in wood design,” said Jennifer Cover, PE, President and CEO of WoodWorks. 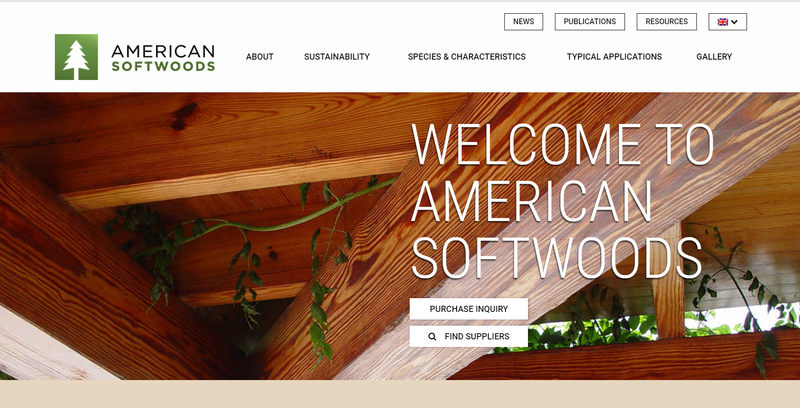 There’s a whole new look to the American Softwoods website, AmericanSoftwoods.com. The new site functions as a comprehensive portal of information about North American softwoods for a wide range of applications. It’s built around a highly visual framework, using extensive photo galleries to illustrate both the performance and the appearance of all species. …This new site was launched yesterday in English, serving global audiences in the U.K., Europe, Latin America and many emerging markets. In the coming months, eight other languages – French, German, Italian, Chinese, Arabic, Japanese, plus Spanish for both Mexico and Spain – will be migrating to the new look. LIGNA 2017 drew to a close on Friday, May 26 having delivered big in terms of innovations and global appeal, with a significant upswing in the number of exhibitors and visitors from abroad and new impetus for the wave of digitalization currently redefining the industry. After five action-packed days, the organizers could look back on a truly impressive event. The world’s leading trade fair for woodworking and wood processing plant, machinery and tools is booming. “LIGNA 2017 will go down as a milestone in the digitalization of the wood industry,” said Dr. Andreas Gruchow, the Deutsche Messe Managing Board member in charge of LIGNA, at the end-of-show press conference on Friday in Hannover. The notion that we must conquer or dominate nature has governed human behaviour for a relatively short period of our 150,000-year history on this 4.5-billion-year-old planet. …Unfortunately, our lack of attention to the intricate and interconnected ways of nature has led to widespread devastation that now threatens the very systems that support human health and survival. …Understanding the benefits of time in nature is a start. Studies show time outdoors can reduce stress and attention deficit disorder; boost immunity, energy levels and creativity; increase curiosity and problem-solving ability; improve physical fitness and coordination; and even reduce the likelihood of developing near-sightedness! Three blocks of recently forested land in the Lake Cowichan area have been randomly selected by the Forest Practices Board for an audit. The FPB, B.C.’s independent watchdog for sound forest and range practices on public lands, is examining the activities of some of the licence holders in the BC Timber Sales program in southern areas of the Island from May 29 to June 2. With its operational presence in 33 locations around B.C., the BCTS program manages some 20 per cent of the allowable annual cut on provincial Crown land. This audit includes land logged through the program in the communities of Port Alberni, Port Renfrew and Lake Cowichan from June, 2015, to June, 2017. FPB spokeswoman Darlene Oman said two of the three logged lots in the Lake Cowichan area were logged by a private individual, while the other was logged by Coastland Wood Industries. …“We do these audits randomly all across the province to ensure all participants in the BCTS program are complying with the rules,” Oman said. A record number of whooping cranes have been found in Wood Buffalo National Park, according to the 2017 nesting survey by Parks Canada and Environment and Climate Change Canada. The surveyors found 98 nests in the park belonging to the endangered species, which beats the previous record of 82 set in 2014. …The cranes returned to Wood Buffalo in mid-April after migrating to the Gulf of Mexico for the winter months. The national park is considered a UNESCO World Heritage Site because it is home to the only wild migratory whooping crane flock. The park extends about 45,000 square kilometres across northern Alberta and the Northwest Territories. Powell River Community Forest president Greg Hemphill presented City of Powell River council with a dividend of just under $2 million on Monday, May 29, for the city’s reserve fund. 2016 was a banner year for Powell River Community Forest, a city-owned logging company with a timber licence to harvest trees east of the city. “The record profits resulted from an increase in our allowable cut, a very strong market for our timber and some sound strategic decisions,” Hemphill told council and the gallery full of funding recipients from the community. The company operates with a volunteer board appointed by city council. All its profits are returned to the city in the form of an annual dividend. “We’re pleased with the projects we’ve accepted,” said Hemphill. “We think it’s a good mix of sizes and themes.” Including the 2016 dividend, community forest has injected a little more than $8.5 million into the city over the past 11 years. The American Hardwood Export Council has unveiled an open access online interactive map that demonstrates the sustainability of the US hardwood forest down to county level. It’s intended for use by timber companies and end users, but also for them to demonstrate the environmental credentials of the US forest resource to their customers. The facility shows forest distribution, growth and timber removal rates. Users can see an easy to understand snapshot of these for the entire country, or drill down to individual county level. The tool is based on information from the Forestry Inventory Data Online (FIDO), part of the US Forest Service Inventory and Analysis Program. SALEM — Although the governor and environmental groups like to say that the state land board has decided to keep the Elliott State Forest “in public hands,” come July, the 82,500-acre tract near the Southern Oregon coast will be managed by a private company. The Oregon Department of Forestry has managed the Elliott for decades, but the Department of State Lands is now finalizing a contract with Titan-Kelly, LLC, for custodial management of the Elliott State Forest. The agreement would be for one year, effective July 1, with an option to renew up to five years. While the dotted line has not yet been signed, the agreement is expected to cost the state $780,000 per year. …The company will maintain roads, do some reforestation, oversee public access and other basic, “custodial” tasks, but will not harvest timber on the land, according to a spokeswoman for the Department of State Lands. Three areas of eastern Minnesota have been identified as likely locations for an elk restoration effort by the Fond du Lac Band of Lake Superior Chippewa. Wildlife and forest resource managers have honed-in on the Cloquet Valley, Nemadji-St.Croix and Fond du Lac state forests — as far north as the Whiteface Reservoir area, as far west as state Highway 73 and as far south as the St. Croix River. The elk restoration plan has focused on Carlton, southern St. Louis and northern Pine counties and the three specific areas “were identified as having the best conditions for supporting elk someday,” Mike Schrage, Fond du Lac biologist, said Wednesday. The three areas range from 290 square miles to 670 square miles each. Papua New Guinea University of Technology Timber and Forest Training College (TFTC) Board chairman Dr Ora Renagi is calling for more funding to improve the training programs in the college. “TFTC is amalgamated to Unitech and we are making sure we train the human resource to meet the requirements in the forest sector. We need a lot of funding to support the improvement of training programs within the college and also across the university.” “If we can get a two per cent from the 20 per cent of PNGFA levy, then we can support and improve training for the diploma courses in Bulolo Forestry College and of course TFTC,” Dr Renagi said. Fifty foresters with “boots on the ground” to fight wildfires all over Mississippi on almost 19.8 million acres will lose their jobs come July 1. The layoffs come after the state Legislature cut the Mississippi Forestry Commission budget by almost 16 percent in the past session. Assistant State Forester Russell Bozeman told the Jackson Free Press that the commission was forced to reorganize its operations after the cut, which will also mean the elimination of about 25 administrative jobs—bringing the total cut to 75 jobs. Bozeman said the cut means the commission will have fewer people covering larger territories. … House Speaker Philip Gunn, R-Clinton, told the Stennis Capitol Press Forum last week that Republicans reducing the size of state government should not come as a shock to anyone. 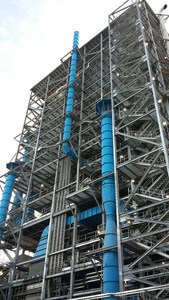 Georgia Pacific has finished a $388 million boiler system overhaul at its Brewton, Alabama, containerboard mill. The project, which took two years to construct, has modernized and streamlined the equipment in the mill’s recovery boiler system, enabling it to generate all of its own energy by burning a mix of papermaking process waste, or biomass, and natural gas. Celebrating completion of the project, the company recently held an event that was attended by more than 700 people, including state and local officials who emphasized the positive economic benefits the project has had on the surrounding community.